The Pennsylvania Supreme Court has ruled in favor of a man who was diagnosed with cancer, which he claims resulted from his years of working as a firefighter. The ruling places the burden of proof on his former employer to show that the cancer was not the result of work-related activities. “What the Supreme Court did was provide a more fair and more direct way for firefighters to bring claims for cancer that will impact not just firefighters but I think workers making occupational disease claims all throughout Pennsylvania,” said Sladek’s attorney, Michael Dryden from the firm Willig, Williams & Davidson. Sladek, a 24-year veteran of the department, has been treated for melanoma. 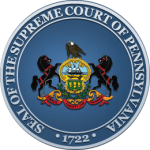 The high court ruling settles the question of proving the claim, but his case now goes back to the Pennsylvania Workers’ Compensation board for further review. A full copy of the Supreme Court’s decision can be found HERE. If you have any questions about access to the Bucks, Delaware, Lancaster, and Montgomery County courts in Pennsylvania, or any of our other products and services, contact us at customerservice@courttrax.com or give us a call: 866-643-7084 (Option 2).